Join us as Wendy L. Rouse presents research from Her Own Hero: The Origins of the Women’s Self-Defense Movement. At the turn of the twentieth century, women famously organized to demand greater social and political freedoms like gaining the right to vote. However, few realize that the Progressive Era also witnessed the birth of the women’s self-defense movement. Some women were inspired to take up boxing and jiu-jitsu for very personal reasons that ranged from protecting themselves from attacks by strangers on the street to rejecting gendered notions about feminine weakness and empowering themselves as their own protectors. Perhaps more importantly the discussion surrounding women’s self-defense revealed powerful myths about the source of violence against women opening up conversations about the less visible violence that many women faced in their own homes. Through self-defense training women debunked patriarchal myths about inherent feminine weakness creating a new image of women as powerful and self-reliant. 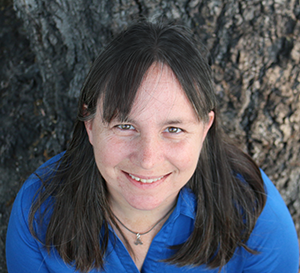 Wendy L. Rouse is an assistant professor at San Jose State University where she teaches courses in history and teacher preparation. Rouse's whose scholarly research focuses on the history of women and children in the United States during the Progressive-Era.